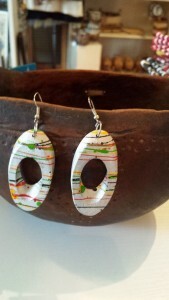 These beautiful handmade super lightweight earrings are made in Kenya by Kenyan Artisans.. 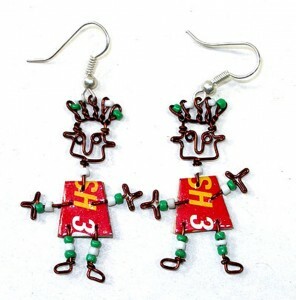 They are made using a cut out from recycled cooking pots that are hammered to make the stamped design. Then the earring are accented using a variety of glass colored beads. 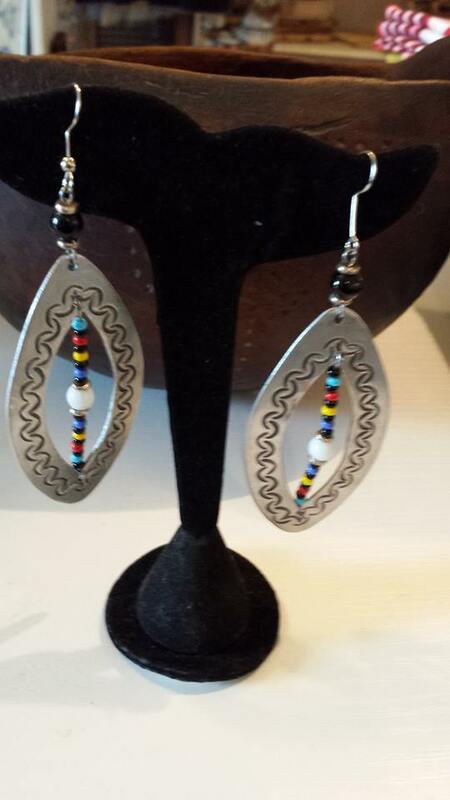 These aluminum earrings measure 3 3/4” in length which includes the drop and 1.25″ wide. 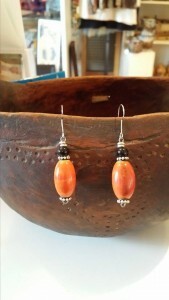 They are super light weight. 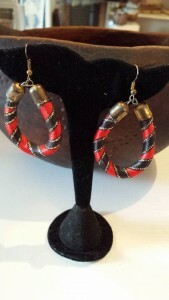 They are a true One of a Kind as each are hand made and will compliment any outfit. 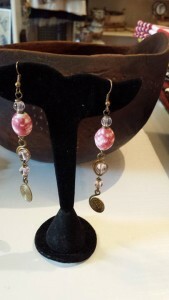 Tag: aluminum glass bead earrings.